Lambing is now into its third week here on the estate and it’s been a particularly busy and challenging time for the Kennedys. 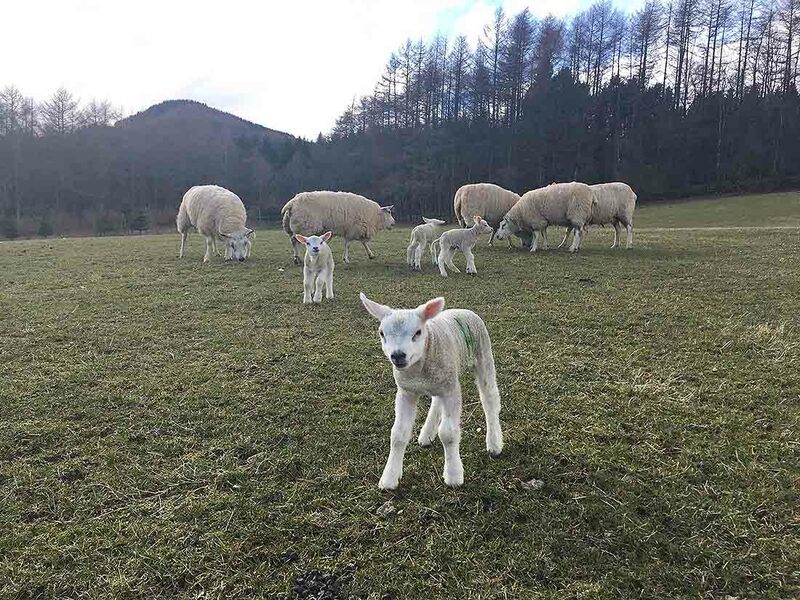 Normally lambing starts alongside the first signs of spring, however this year’s testing weather conditions of snow and rainfall has proven challenging. This has resulted in some ewes being in less than prime condition and additional feeding costs to help the ewes produce enough milk to feed the young lambs. The adverse weather conditions has meant that the ewes and lambs have needed monitoring throughout the night. We are fortunate to have two poly tunnels where the majority of ewes have lambed and stayed inside to shelter and keep warm, some a little longer than we would have liked. Whilst the priority is to keep the animals warm, the length of time spent in the poly tunnel has to be weighed up with the weather conditions outside so that the lambs get the best start in life. Eating fresh grass ensures the ewes keep a good supply of milk so it is important that both the ewes and lambs venture outside the tunnels as soon as the weather improves. The lambing season is a wonderful time of year for all and especially to anybody passing the sheep fields where lambs can be seen frolicking and jumping. For the farmers however, along with the highs comes the inevitable sad loss of both lambs and ewes. The circle of life starts again in October when the ewes and tups are put in the same field, with the resulting lambs arriving 21 weeks later.